If you're just chiming in today, my multipurpose blank card set is a set of cards that I have made for someone that they can use for a myriad of occasions. None of them have sentiments. While some are more suited towards women, some for men, and some for the wee ones, the occasions they can be used for a varied - birthdays, farewells, get well soon, even sympathy. The set is made up of six lots of three - each of the lots of three is made from one 6x6 paper pad. Make sense? 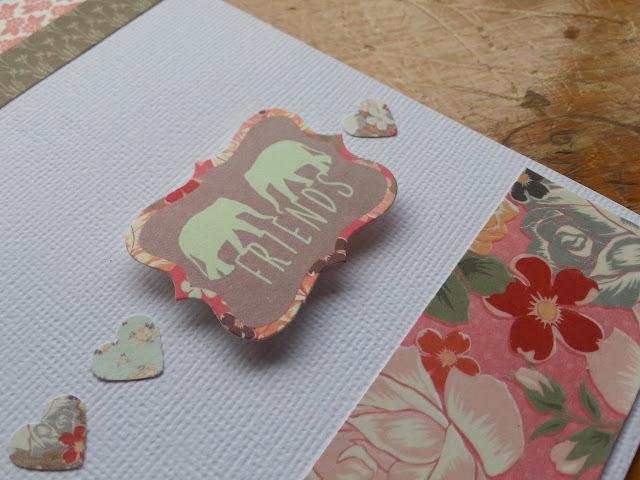 Anyway, here is today installment, made using the most beautiful collection from Kaisercraft called Sweet Pea. 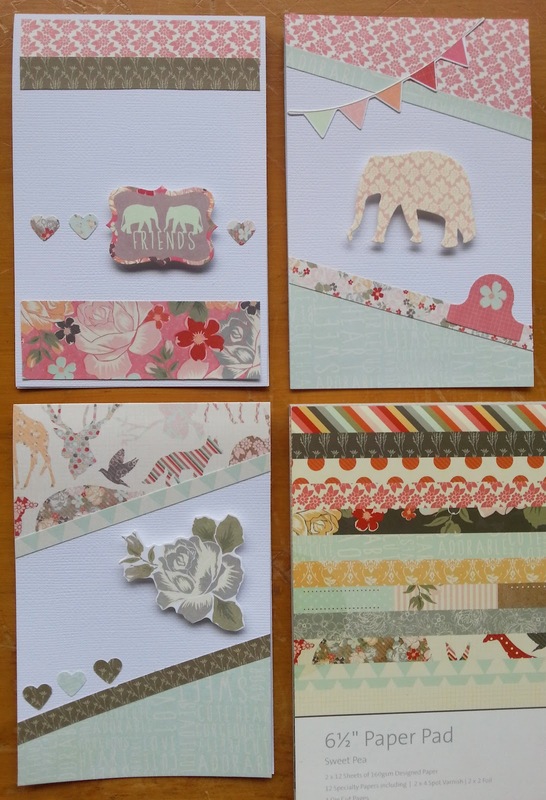 Although it is made as a baby collection, you can see that these cards could be used as baby cards or a card for your girl friend. They are simply gorgeous, as this collection is amazing. 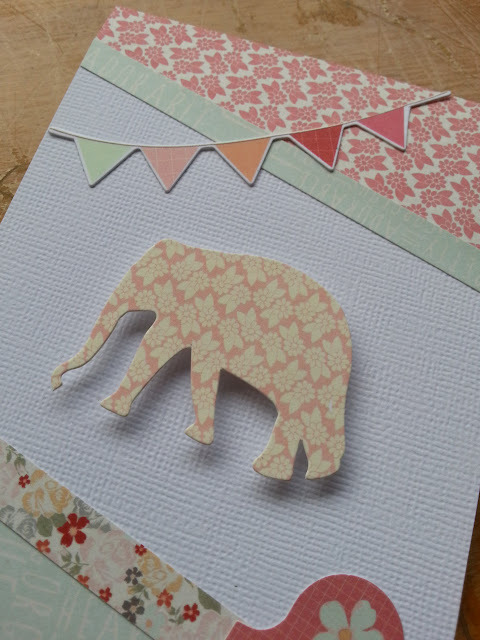 That floral elephant is divine. Adhered with a foam dot gives it so much dimension. The colours in this collection are simply the most beautiful pastels. I love the paper at the top with all the animals made from different patterns. 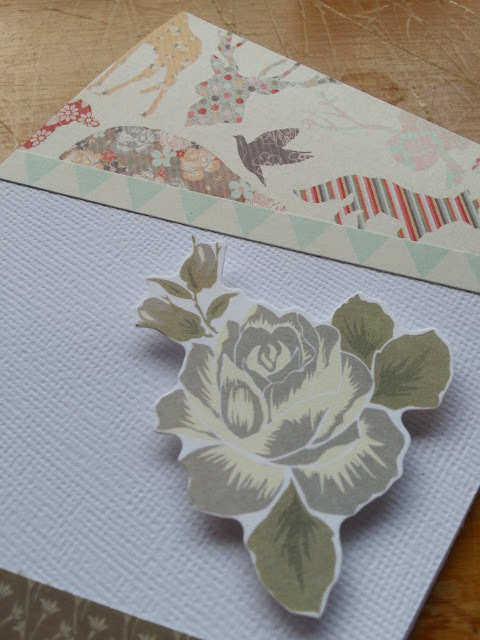 The pink floral paper at the bottom is a specialty paper with spot varnish. Absolutely beautiful.